It is quite customary to say that when writers and intellectuals pass away, such as Néstor García Iturbe, their work remains with us. This is particularly true for Iturbe, whose career underlines this even further, even though it may not be acknowledged by everyone. I have been reading his work for many years in the form of articles. His writing has always fascinated me, especially with regards to his specialties of Cuba–US relations and the political system in the US. 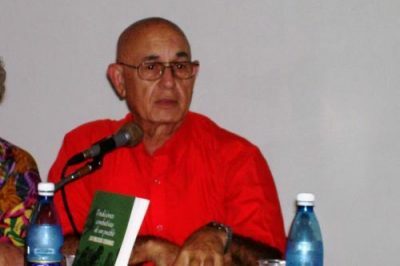 We communicated through email and I appreciated him as being among revolutionary Cubans who do not carry illusions about US imperialism and its long-term objectives, whether in the form of Bush, Obama (with his “smooth tactics”) and Trump. Thus, when my book Cuba and Its Neighbours: Democracy in Motion was being presented at the Cuban Institute for Friendship with the Peoples (ICAP) on November 18, 2015, I took a chance and invited Iturbe, even though I was sure he had more important things to do. To my surprise and delight, he showed up. What an honour for me! After the formal part, we exchanged signed books, his, entitled Estados Unidos, de Raíz (“United States, from the Roots”), and mine. Now, at the very time of his passing, this work – as well as his others – is more relevant than ever. Why? It is quite clear to me that the next president of the United States will be Barack Obama, though, of course, not formally. The favourite Democratic candidates looking for nomination and to almost surely defeat Trump in 2020 are Michelle Obama, Jo Biden, Elizabeth Warren and many others. Whichever it may be, my investigation has shown that Barack Obama will be the de facto president, with its relatively good side to Cuba–US relations, but also the dangerous aspect of subverting Cuba from within: seduction to replace aggression once again. Let us use the work of Iturbe now to make sure naiveté does not further take root. I am quite sure he, his family, his colleagues in Cuba and his many admirers outside the Island would appreciate this. This article was originally published on CounterPunch. Translated from Spanish.